kandeej.com: Snow White...4th times a charm?!? Snow White...4th times a charm?!? Enjoy this one and the hair one tutorial too! There will always be people who cannot deal with the fact that there are amazingly beautiful, talented and on top of that warmhearted human beings like you around and are just jeallous of your success. The funny thing is, true talent like yours and true love like the one thats coming from you towards us will not stay hidden, real honest people like you are the ones that are loved and that touch others, so no matter how hard those silly people will try, you will get your message across. You'll get famous, mark my words, you are what the world needs :) So just keep going, we're all right behind ya! Hope you are feeling well... with plenty of love surrounding you! I discovered you about 2 weeks ago or less. Your Snow white IS truly amazing... but again I say that with every video of yours. It's funny, I feel that your "simpler" vids, like how to blow-dry your hair straight or cut up a t-shirt... are actually very in-depth in technique whereas in your very glamorous or amazing makeup vids, that's seem very hard to do, such as the MJ or Poison Ivy vid, somehow seem so doable in the way you show how to do them. That's your amazing talent that strikes me! I've shown friends your snow white vid as well as other awesome transformations you've done, and once I showed them how bright (and successful) you are, I wanted them to see that like so many of us, you to have had some very hard times, and have come out so butterflyingly! -So I showed them the inspirational ones about "your story" and "to follow your dreams". Love...Love...Love You and your fabulous self. I had to stop by and say THANK YOU!!! 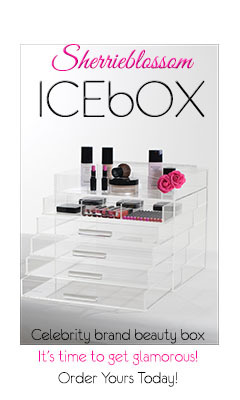 for the hottest, jazziest, make up application techniques and glam tips, (and tricks) that you shared with us at the SeneGence Leaders conference in Laguna Beach. Currently, I am practicing in an effort to master concealing my face to perfection or at the very least the illusion of such. I am planning on putting some pics of that day up on my sites as well as links back to you, so come by to see them if you have a chance. Great Video! You make everything looks so doable! btw. congrats on getting added to IMdb.com! Awesome. This is absolutely amazing, You are such an inspiration Kandee! I love your work and follow you religiously! 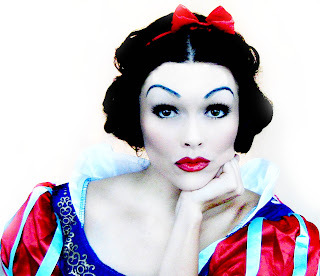 I love that you did snow white I have been planning for Halloween since last year! Your video was reloaded this morning and is gone again :( I'm crushed anyway you can email it, is that possible in this tech complicated world of ours?! Yeah, i think it's because disney doesn't like that you're singing their song. I don't get why it's such a big deal to them, but I guess that's how copyrights work -_- Sorry Kandee.. It back! You are awesome, thank you for dedication! Hope it's up until Halloween yeahhh!!! Thank you, thank you, thank you!!!! Snow White is my fav and I love to dress up as her every year. You are simply awesome Kandee and such an inspiration! Hi Kandee. I just wanted to say that I discovered you on Youtube about a year ago, and haven't had internet until now, until about a week ago. So, of course, I immediately looked you up to see what new vids you had done. And, I have to say, you have given me a new hope in the world. These days, evil and hatred, greed and selfishness, poisons this world to such an amazing degree that I thought we were truly doomed and had pretty much lost faith in this world. But, you've shown me that there still are people in this broken world that love and care, that smile at strangers and honestly love their fans, that do not only think of themselves. And I look at you on these videos and see how beautiful you are, how loving you are, and the fact that you go out of your way to give those who follow little tidbits of wisdom and kindness. Little words of inspiration. It is so rare nowadays to find someone who truly cares about everyone else, who truly cares about those she doesn't even know. You prove, with every thought written on a blog, with every video posted on Youtube, that you were made by God's hands and that you were a special gift to this wretched world. If really makes me smile to know that young girls watch the videos and follow the blog of such an inspiring, beautiful, strong woman. And that your children will grow up knowing that their mother changed the lives of so many lost souls. You are truly one-of-a-kind. Thank you. Kandee. For blessing the world with your spirit. 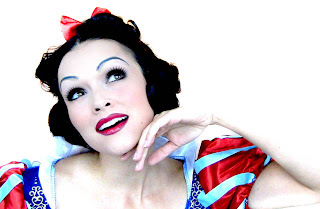 I have wicked pics of your snow white make up - How can I send them to you? Hi i love your videos thank you for all your great tips! I was wondering where do you get the contouring foundation kit that you showed in the beginning of your snow white video. And if you have or can do a contouring video :) Thanks again! yay I got to play photo shoot! I'm in ELLE magazine!! woo hoo! Vintage, pompadors and thigh high boots, oh my! what I did in laguna beach today! It's Friday and I'm packing..and a peek! I NEED your help VOTING!!! looks who's coming up next....scissors anyone?!? Are you hurting or sad?